One of the duplexers that had been pronounced as 'misbehaving' from the mountain top repeater was pulled down and delivered to the lab. 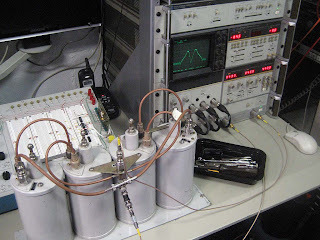 The first order of business was to take a look at it using the VNA (Vector Network Analyzer). Initial findings for the duplexer were not great as can be seen in the response plot. 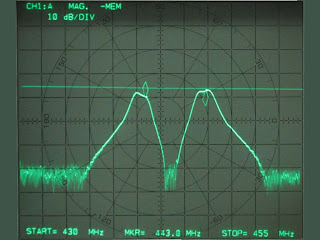 The bugs on the plot represent the receive and transmit frequencies for the repeater. Tuning each section individually and then reconnecting them to view an over all plot produced a somewhat better response. This particular duplexer includes a notch capacitor with each cavity. 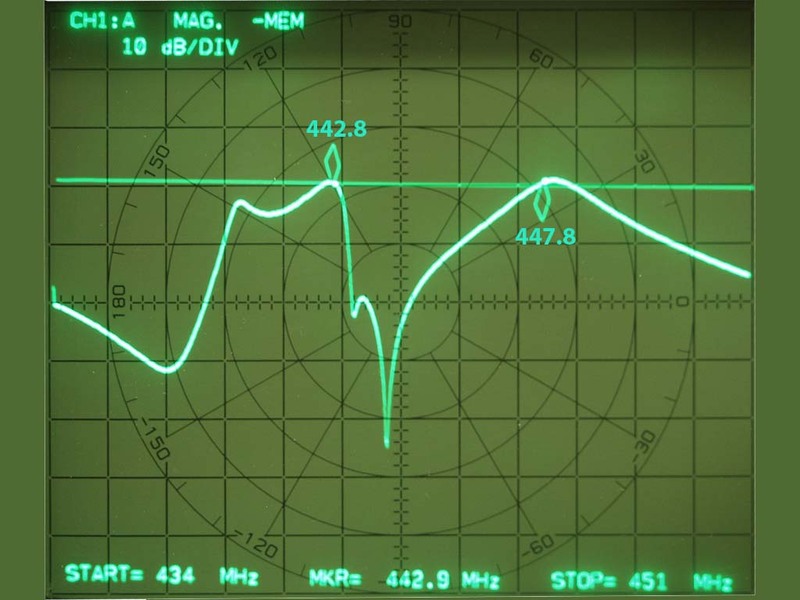 The bug for the receive frequency on the left is off by 200 Khz. I'll let you know how the duplexer works when it is reinstalled back on the mountain. After testing on the kitchen stove and making a few small adjustments the turbine worked very well. 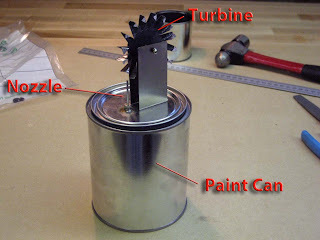 Here is a picture of Jake's turbine showing the various parts. 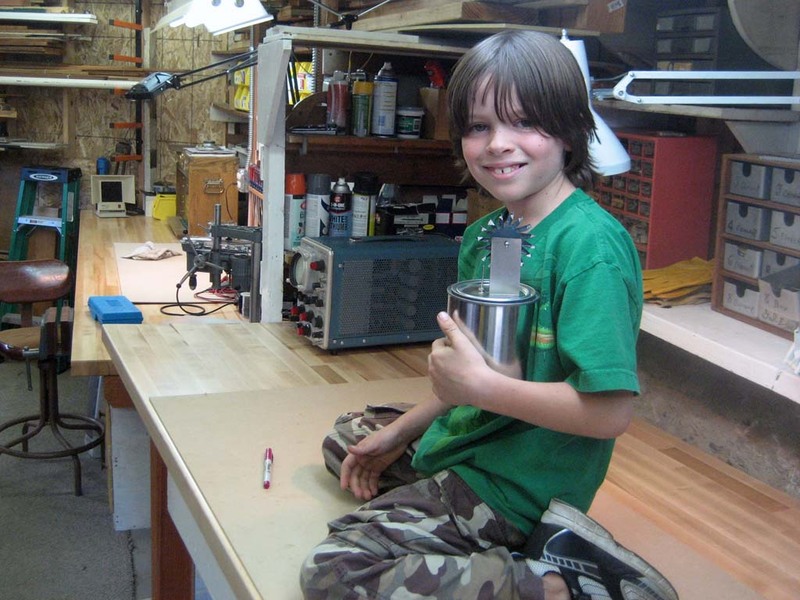 Here is a picture of the young inventor with his completed turbine after testing. 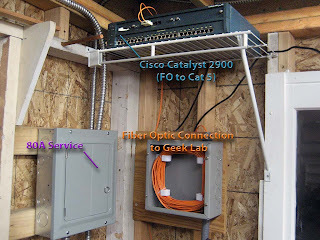 During construction I included a length of fiber optic cable that could be used to interconnect Cisco Catalyst 2900 switches that I picked up for $20 apiece at a swap meet. In this picture you can see where the fiber optic cable terminates next to the shop electrical sub panel. The hooks inside the electrical box used to coil the excess fiber optic cable and prevent it from bending and breaking the glass filament were made from a cheap plastic hooks designed to hang from the top of a door.